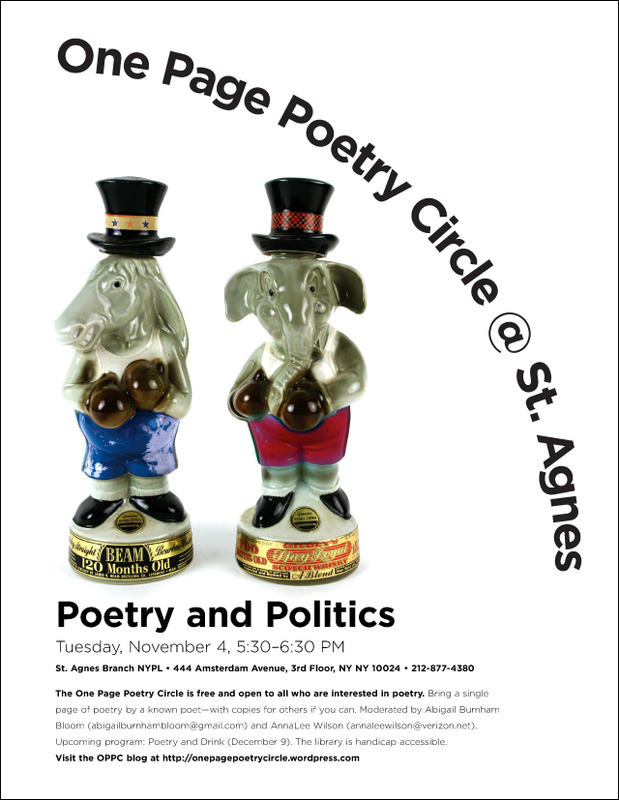 Join the One Page Poetry Circle on Election Day, November 4 to discuss Poetry and Politics. Although we may be disgusted with our politicians, we are proud of our democracy in which all can contribute to the solving of our problems. Click on the speech balloon next to the subject of this blog post and send us your own thoughts or poems on the subject of Poetry and Politics. Or any another other poetry subject! 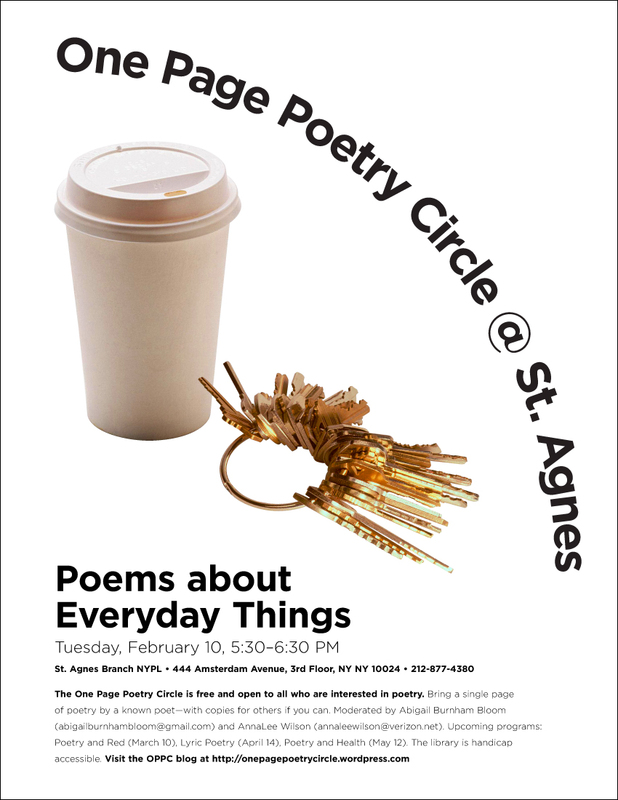 While you are thinking, mark November 4th on your calendars for the next One Page Poetry Circle.